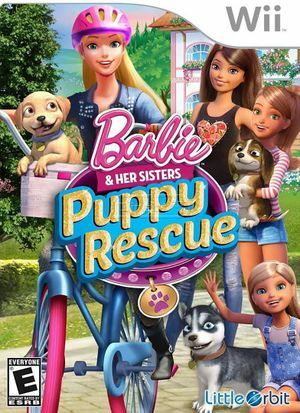 Barbie and Her Sisters: Puppy Rescue is set in Barbie’s hometown Willows, and inspired by the upcoming DVD Barbie and her Sisters in the Great Puppy Adventure, players will join Barbie and her sisters – Skipper, Stacie and Chelsea – as they solve clues to find and rescue lost puppies. Each sister will bring her own unique set of skills and activities to the game. Give puppies a check-up with Skipper at the Roberts Sisters Puppy Rescue, groom the pups at Chelsea’s Puppy Day Care or teach them new tricks at the Pup Camp with Stacie! Cuddle and play with the puppies until they can go to their fur-ever homes! The graph below charts the compatibility with Barbie and Her Sisters: Puppy Rescue since Dolphin's 2.0 release, listing revisions only where a compatibility change occurred.